Over stock of Daka Docks! Our loss is your gain, huge price cuts on all in stock docks. Stop in or contact us for more information. 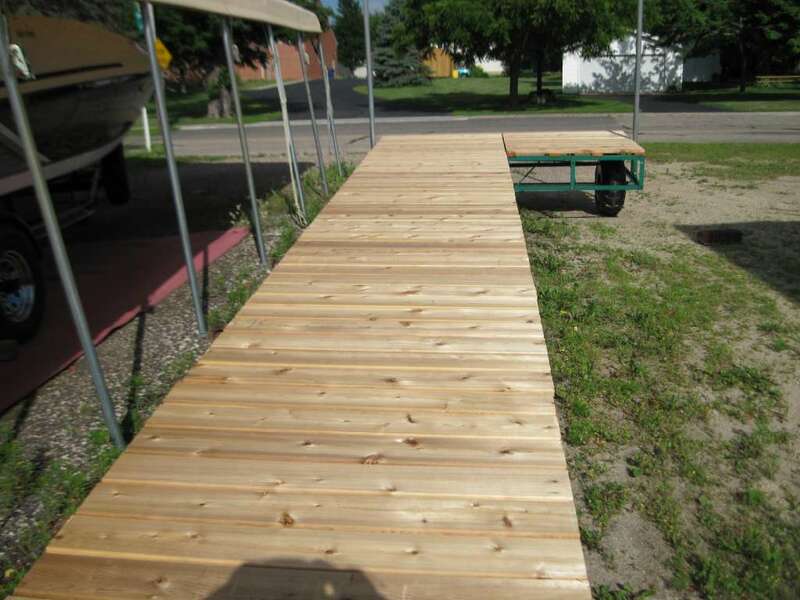 28' L dock steel wheel in w/ cedar decking, 32' Super platform steel wheel in w/ cedar decking, 20' L dock aluminum wheel in w/ vinyl decking, 30' platform aluminum sectional w/ vinyl decking.